So we have Racing NSW and the Australian Wagering Council swapping media releases in an endeavor to each maximize their booty from punters. Both boards would not be in existence if not for punters but nobody has actually asked a punter what he thinks. It would be ideal if a punter like Ken Callander or Kingsley Bartholomew was invited to sit on these boards so there would be some objectivity and balance then perhaps a mutual agreement could be reached, even better, a bookie who fields at a race track and a non-professional punter. RNSW are doing their best to kill off every bookie by taxing them on turnover so that they only have their beloved TAB, and the bookies are re-acting by limiting bets and sacking winning punters. 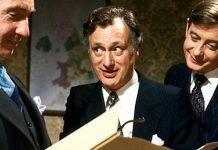 The losers here are the punters, or the authorities the “Goose that lays the golden egg”. You would think that the industry authority would encourage bookies to turnover more cash and grab their slice of the pie based on the profits, but the more any bookie grows their business the more they will be taxed. This is the brain child of RNSW, the same “brains” that have allowed the TAB to market their digital sports and racing product called TRACKSIDE and take market share off the industry. That’s right folks,” Trackside is an animated racing product that combines thoroughbred and greyhound racing with fixed returns on Win, Place, Quinella, Trifecta and First 4 on make believe digital races. 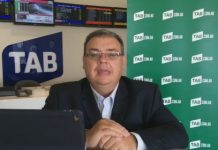 There is only so many punting dollars available and “Trackside “is a direct competitor for it, but due to the incompetent negotiations between RNSW and the TAB, a zero product fee is paid, which means that no money comes back into the industry, in fact, it takes market share and RNSW will only allow the TAB to advertise on their tracks. Go figure the logic in that! 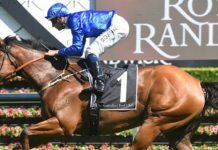 While RNSW have shown a total lack of vision when applying a product fee to bookies as well as giving the TAB a dream rails run with “Trackside”, which will strip hundreds of millions from the REAL industry, they have at least finally started to listen to the many complaints from punters and have put in place a policy that will force bookies to take a bet from any punter and bet to lose a set minimum amount. The Australian Wagering Council or maybe I should call them the “Overseas Online Bookmakers Council” because they do not have any punters on their board with no affiliation to a bookie and the bookies represented are all from the United Kingdom. I know most of the guys on the Board and would call some mates, but at the end of the day, they know where their bread is buttered and they feel they can discriminate who they do business with. The dictatorship of RNSW has implemented an added tax that does not encourage growth, but at the same time they want to tell the bookies who to do business with. The bookies are saying that this is Australia (even though they are owned overseas) and you cannot hold a gun at our heads. 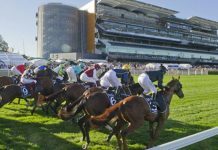 “If there has been an increase in the practice of AWC members restricting bets, this has been necessary to maintain commercially viable operations since the fee levied by racing authorities on online wagering operators moved from a gross profit model to a turnover model”, according to Chris Downey, the CEO of the AWC. The AWC are concerned that they will be forced to trade with clients “with whom they do not wish to trade”, or is simple terms “winners”. Racing NSW, in typical arrogant fashion, clearly do not recognize the AWC and sent out the proposed change in a media release on Jun 12 without any consultation from the bookies. Mr. Downey, a former Minister of Sport, rightly points out: “Any new policy affecting wagering must be developed in a way that properly assesses its impact on the long term viability of the racing industry; protects the integrity of racing and stems the leakage of customers to illegal and unregulated offshore providers. So we have a standoff. RNSW want more turnover and they are forcing bookies to hold more bets so they can collect more tax and product fees, and the bookies are saying to the punters that we don’t want to bet you if you are a winner. When I walk into a fruit shop and they have apples for $5 a bag, I assume that they wish to sell that product at that price. So if I go online and I see that my bookie is offering $1.90 for Hawthorn I also assume that they wish to make a sale at that price. The only problem is that if I am assessed as a “smarty” then I would have my bet reduced to only a couple of apples. If I am too smart then I would have already been sacked. They are happy to sell the apples to someone else but not me. RNSW are saying that it does not matter if the punter is Zeljko Ranogajec every bookie must bet him at least “a couple of Apples”. What RNSW and the bookies need to understand from us punters is that we don’t like being discriminated against and they are not the only game in town. It is not difficult to bet in other territories where they have huge limits. Take the World Cup for instance, in the Group stages of the WC overseas bookies will bet you an outcome to win $250,000 and in the Final being $1million. They don’t care who you are and you never get knocked back. Isn’t that what bookmaking is? Try doing that in Australia! RNSW need to be very conscious of how far they can push the envelope or that arrogant smug could turn to rotten apples and the bookies need to do what they are given a licence to do – be a bookie and make a book with all punters. 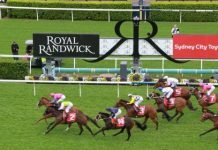 RNSW and indeed all authorities must provide an environment where our bookies are encouraged to grow and they can be competitive with fair and reasonable limits to all punters. 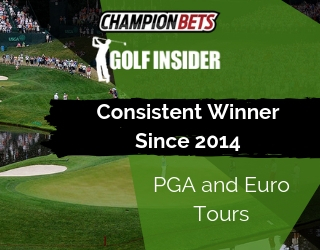 All the major bookies have invested heavily in risk management teams and have sophisticated tools, models and stats all available to them as well as odds comparison websites including betting exchanges so they can maintain competitive prices and importantly not make a mistake. There is no reason why they would not want to accept any bets in this day and age. 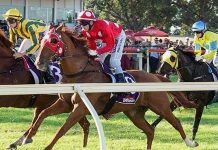 It is not like every race is a maiden at Gulgong with unraced runners, these are prices and lines that are very accurate and come with a nice fat margin to the vendor. 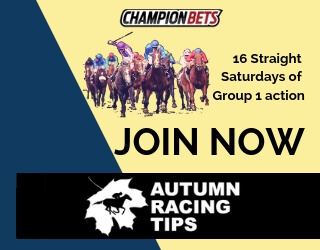 If you don’t want to lay something then shorten the odds, but if the price is up then it should be a fair go for the punters, regardless of colour or creed or their expertise.